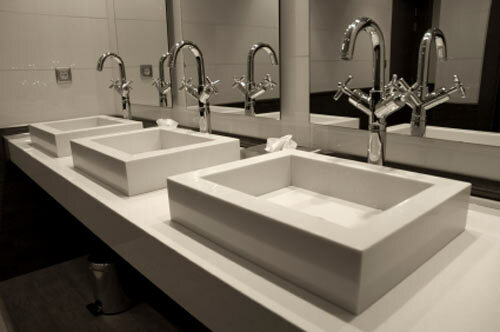 We also do the plumbing in new commercial buildings and office buildings as well as in multi-family unit condos. Prior to our current venture, we ran a large plumbing company that catered to commercial and residential new construction - mainly high-end custom homes. Our experience doing the plumbing for whole developments, servicing and remodeling serves our current clients well. When you give us a call in reference to your commercial site, retail store or office building, we will schedule an appointment usually within the next two days, and then we will come to you to assess your needs and tell you what your options are. We will always give you the most cost-effective option, whether it is a simple repair or entails replacing a pipe or fixture. We know our commercial clients on a first-name basis and they all know that they can call us at any time to ask a question, voice a concern or ask for a quote for a remodel. We treat our clients the way we like to be treated, and we establish a relationship of trust and good service. No matter whether you need a small repair in your office or commercial building or to remodel or build a new bathroom, we can do it for you. Give us a call and we will walk you through the process and make it simple and easy.